Getting to break out my Lilly Pulitzer whenever I want to is one of my favorite parts about summer! Today I'm styling this adorable skort that I found at a resale shop in Charlotte before I moved. PLUS- there's a huge Nordstrom Sale giveaway at the end of this post so don't miss it! Lilly Pulitzer became one of my favorite brands shortly after I moved to North Carolina. I always thought that their colorful clothing was more than just a fashion statement, but also embodied a whole lifestyle! 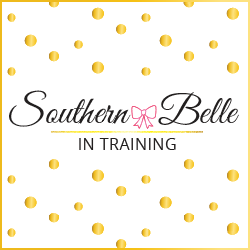 Lilly pieces always remind me of some of of my favorite Southern memories. Even though I have such strong Lilly associations with the South in particular, I knew that I had to bring my Lilly obsession with me here to Vermont! 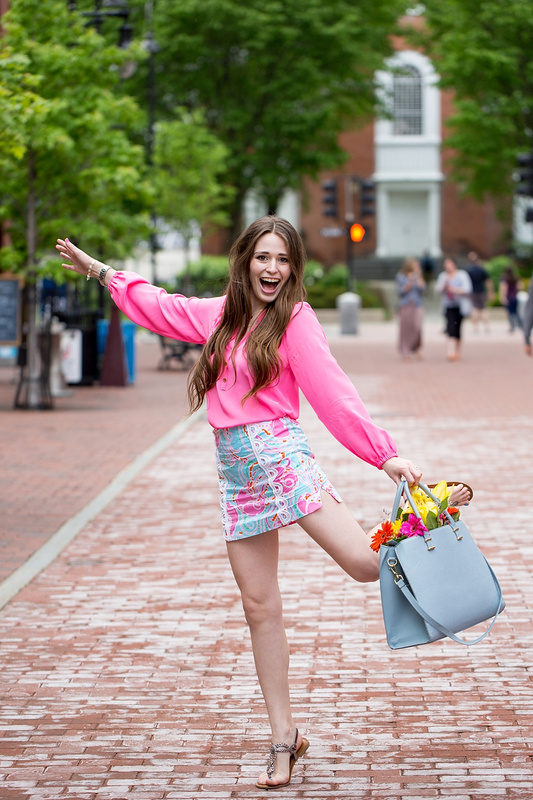 I'm wore this Lilly-filled outfit for an afternoon stroll on Burlington's Church Street Marketplace! Church Street is a pedestrian district in Downtown Burlington that is filled with shops and restaurants. I've had a lot of company visiting me in Vermont over the past month, and I always make sure to make time to bring my visitors to Church Street, as I think it's one of the most quaint parts of Vermont that I've seen so far. The Church Street Marketplace kind of reminds me of a tiny version of one of Boston's streets- it's very New England! 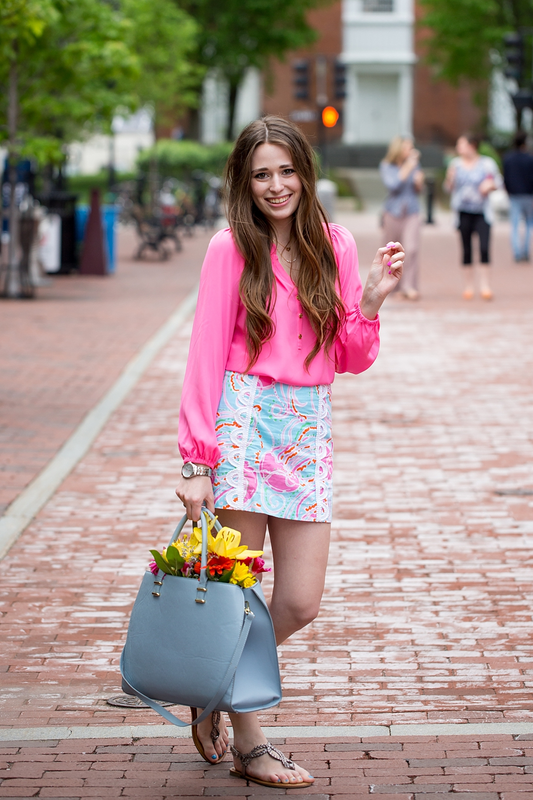 Definitely the perfect place to wear some Lilly and enjoy warm summer weather, which as y'all know can be more of a rarity here in New England! In honor of the Nordstrom Sale beginning soon, I've teamed up with several other bloggers to bring you a great giveaway to help prepare for the sale! I’ve teamed up with an amazing group of bloggers to give YOU a chance to win: a $1,000 Nordstrom Gift Card, just in time for the Anniversary Sale! Simply enter below by completing the Rafflecopter. You’ll receive one entry per completion. This giveaway is open internationally and runs until 7/24. Winner will be announced here. Good Luck! This skirt is so cute on you, Annaliese! 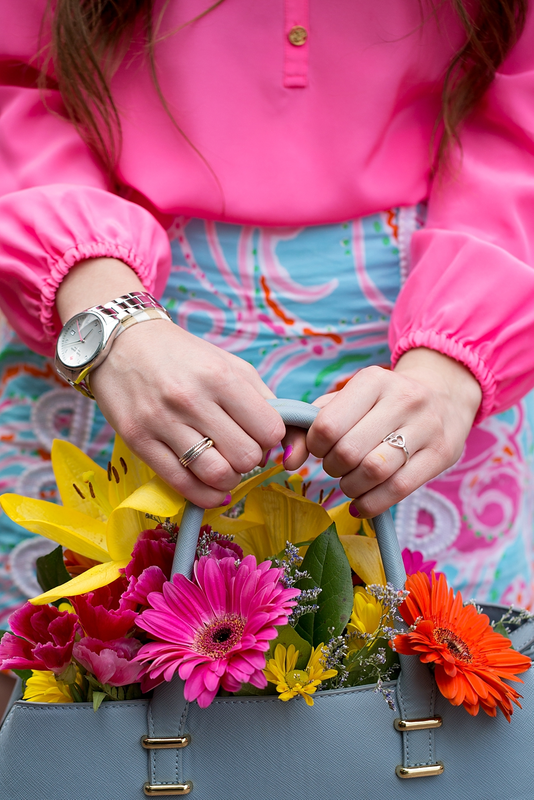 Nothing better than a little Lilly! You're SO cute! I love this outfit on you! Love the outfit! The flowers are a perfect complement! You make me smile!!! I love these images also love that skirt! This is such a cute shoot! I love the flowers! Bright colors really pop on you! I love this look!! You look so beautiful and happy in your photos! And that outfit is beautiful on you :) I can't wait for the NSale to get here!! What's on your wish list? I used to live near burlington! Such a cute town! And love the Elsa top! Theyre my fav! This is super cute! Love the tote with the flowers also. This is such a cute outfit on you! Love all the color! That skirt is SO pretty, the entire outfit is gorgeous on you! 1.) You're so cute. 2.) This sale tho. I can't wait. Oy. 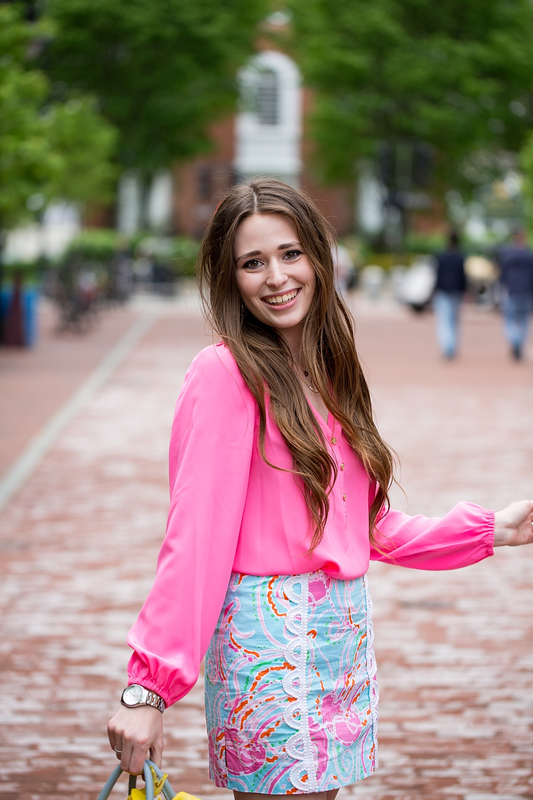 Lilly Pulitzer is definitely a style staple for me! Love your outfit! I definitely need to break down and just buy a LP piece already! This might be one of my favorite looks of yours!! I love the print on that skort and even love how you thrifted it!! Such a cute outfit. I love a good Lilly P skort!